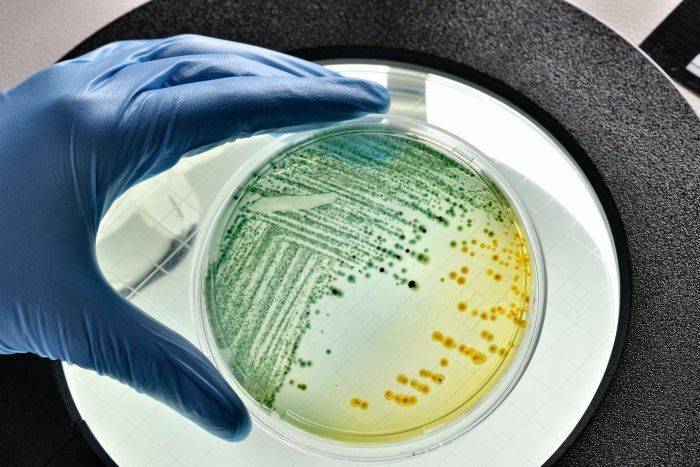 A study conducted by researchers at Edinburgh University has suggested bacteria may use a form of communication not dissimilar to human language. According to researchers, the method, which uses chemical signals instead of sound and words, allows bacteria to flourish. Dr Sam Brown, a member of the university’s school of biological sciences, said: “We’re only beginning to scratch the surface of the complexity of bacterial social life and its consequences for disease. The research was conducted amid fears certain forms of dangerous bacteria may soon become resistant to current antibiotics. Decoding the language may lead researchers to new drugs in the battle to combat infections, ensuring certain infections will not become life threatening. The scientists found bacteria produce and respond to chemical compounds which act as dialogue, a sign that they recognised their physical and social environment. Currently, remedies that fight infection stop all communication between bacteria enzymes; allowing the bacteria’s survival instincts to build a resistance to drugs. The University’s researchers believe that by hindering certain signals, specifically signals harmful to humans, could be equally as efficient in preventing infection without leading to bacterial resistance. Posted in Headlines, Uncategorized and tagged bacteria, Dr Sam Brown, Edinburgh University. Bookmark the permalink.